DO WE SEEK THE TRUTH OR OUR SELF? We live in the “Information Age.” Barrages of “information” constantly demand our attention. We can find amongst the cacophony of noise and the cluttered collage some useful information, but that is difficult. That is especially true with respect to the following question: is the Word of God inerrant? Even though the claim seems outrageous to some, both Jews and Christians say that it is. Some do so with awe. Some do so doubtfully. Perhaps only a few do so with the calm assurance of a child who knows he is loved. Why outrageous? Why outrage from mere men? Why do some persecute Christians with anger and cold-blooded hatred? Consider what we know of ourselves. When we carefully consider what the Bible says, the story it tells, what else should we expect? Does Mankind have the starring role in the Bible? No. Mankind is not the main protagonist. When Jesus became human, He humbled Himself (Philippians 2:1-11). Mankind is not even the lead villain. Mankind is Satan’s prideful dupe (Genesis 3), at best a child led horribly astray and in need of rescue. Is that how we wish to see ourselves? But consider the problem. How should God speak to Man, to us? What is Man that God would want to speak to us (Psalm 8)? How could we comprehend God? When He speaks to us, can we understand God? How do we know God when God has spoken to us? What is a communication from God, and what is not? Assume for a second — even if you do not believe it — that the Bible is the Word of God. How should we make sense of it? Here we have a document written thousands of years ago by people now long deceased. Many of these writers had no conception of the Peoples who would eventually read their words. They wrote to the men and women of their age, often just to the men and women who shared their ancestry and faith. Thus, we eavesdrop. We listen to half of a conversion transcribed in a language long dead. Only with help of dedicated translators and the commentary of thoughtful Biblical scholars can we make sense of the Bible. Only by straining our imaginations can we put ourselves in the various times and places when each book in the Bible was first read. Only with frustrating effort can we begin to understand, and so we get angry. If it is His Word, why does God make it so difficult? Therefore, some scoff. They laugh at the claim of Biblical inerrancy. They point to the seeming impossibility of events such as Noah’s Flood. They ridicule what they call “contradictions.” They are not fooled, and they don’t “need” to believe. How do Bible believers reply to the scoffers? Some get angry. Others see themselves in the scoffers and react with pity. How do we explain Noah’s Flood, the plagues of Egypt, the resurrection of Jesus, or any miraculous event? We cannot. Can Mankind explain anything? We can observe patterns, but explain? When an event occurs outside of our normal experience, when it seems preposterous to relate the effect to the cause, isn’t that what we miracle? Given our ignorance, isn’t everything a miracle? What matters is what happened, and Christians believe in the resurrected Jesus Christ. If that miracle is true, then why should it be so hard to believe the others are true? How do we explain the “contradictions” in the Bible? What is wrong with asking people to consider the Bible more carefully? Don’t what seem to be contradictory passages usually resolve themselves after more diligent study? Can we not observe that just as there are websites that demonstrate the “contradictions” in the Bible there are also websites that explain those “contradictions”? Do we need to believe in God? Or are we wayward children who believe their Father’s demand to study cruel? Don’t the scoffers condemn the God of the Bible? Don’t they call Him a difficult and wrathful taskmaster? And yet they say Christians need to believe? Perhaps we should wonder how God could make it any easier for us to understand His wisdom. Can we give our own children everything they need, or must we demand they strive to learn? When we were children, could we understand our parents? Then how can any of us comprehend the thoughts of an infinite and perfectly Holy God? Unless we seek the Truth humbly, we cannot find it. Until we stop seeking ourselves, we cannot find God. His Creation speaks of Him. The Bible is not about us. Both Creation and the Bible glorify God, not Man. The Bible tells the story of the Redeemer, not the redeemed. Man exists because of God, not because of Man. 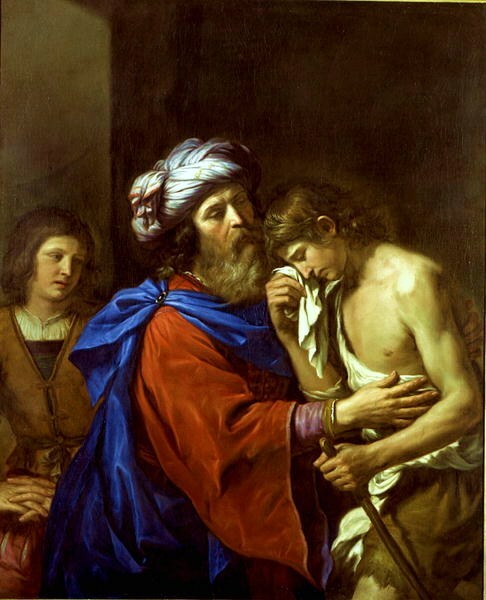 Yet like the younger son in The Parable of the Prodigal Son, we tend to run off looking for ourselves. Or, like the older son, we are so self-righteous we expect God to present Himself and justify Himself to us. In either case we let our pride obscure what should be obvious. To know anything of worthy of note, we must first know God.